A new range of performance wear needed a promotional book for its launch. The photography of the brand ambassadors in the new wear was used to show the range in action. The Adidas Techfit range reflected the classic simplicity of the Adidas brand, and this clean style was the basis of the brochure styling. 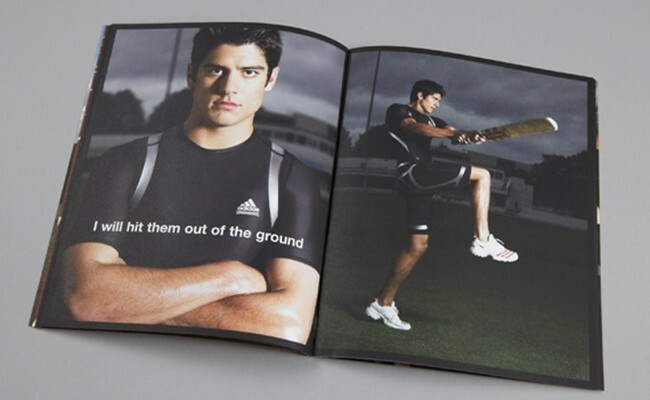 The brochure features photography of key Adidas sponsored sportsmen wearing the Techfit range and makes use of a clean, sans-serif typeface for all content. 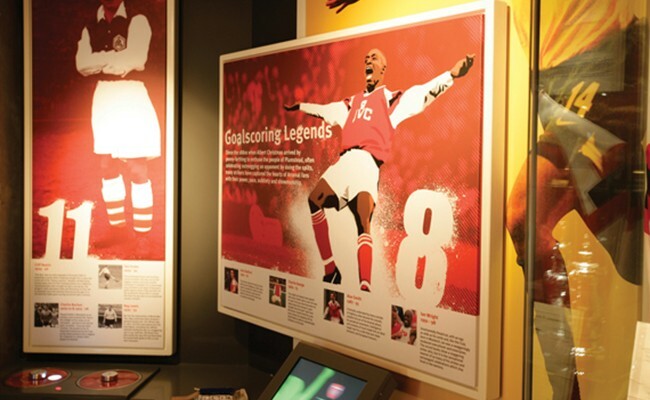 The Arsenal FC Museum was designed to engage all ages, and all levels of knowledge, of one of the most popular clubs in England and the world. 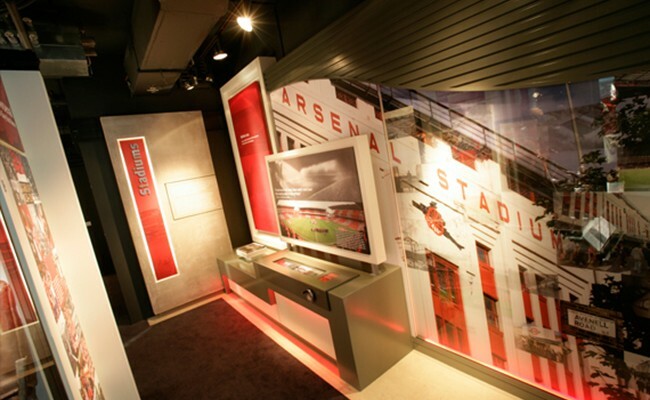 Working alongside the museum designers Mather & Co, 1977 Design used iconic Arsenal FC imagery in unique and interesting ways, including bespoke illustration and typographic images, to engage fans of Arsenal both new and old. 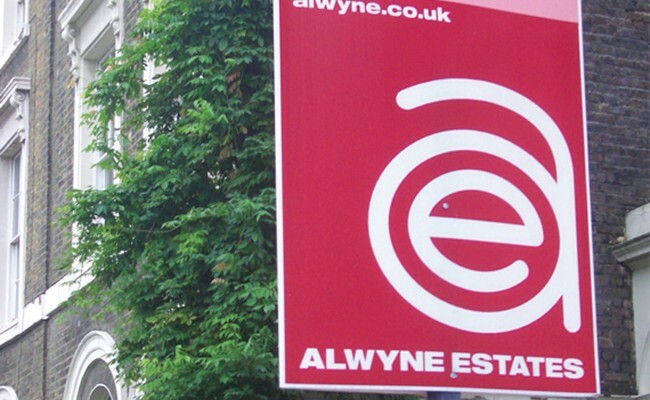 In a competitive market an estate agents required a brand identity which made them quickly identifiable on busy London streets. The brand identity was designed to be recognisable from a distance as most viewings of the identity are on sales boards on the street. The bold, graphic identity created an identifiable symbol which was used prominently on brand collateral reinforcing the identification made on the street with the sales boards. 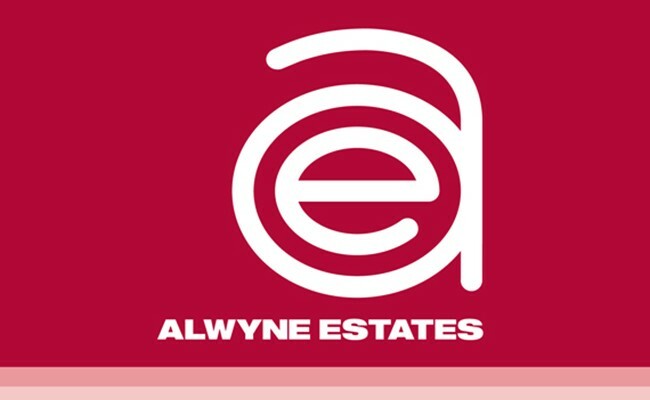 The colour palette used also enabled Alwyne to stand apart from local competitors. 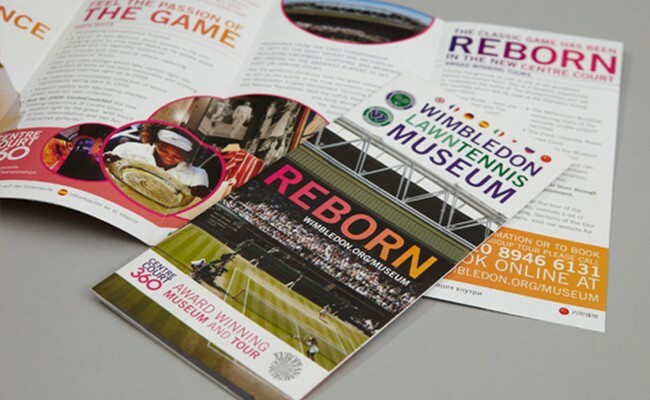 The branding for Wimbledon Lawn Tennis Museum aimed to reflect the venue’s heritage and the game’s emotions. The brand identity was required to hold both of the Wimbledon roundels, whilst also having a clear hierarchy. The brand identity gave the solid foundation from which the brand environment could work. The environment led on emotive words related to the game and the place, with one lead image sitting on a white background. The aim was to position Wimbledon as being forward-thinking, vibrant and colourful whilst reflecting the energy of the tennis tournament. The branding, brand environment and museum were a great success, seeing an increase of 60% in Museum visitor numbers in the museum since 2006. 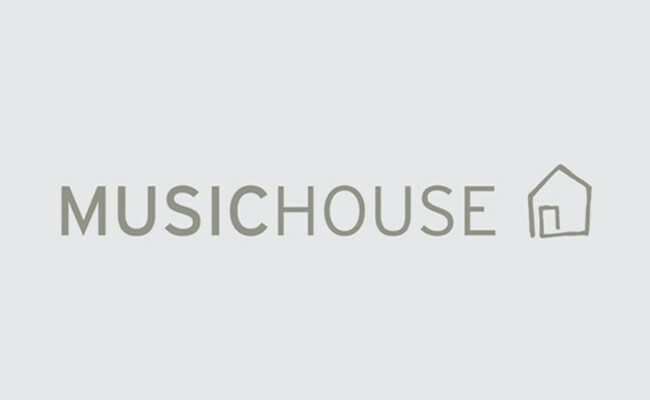 A brand style was required which would works across all releases from MusicHouse, from rock to hip hop. The brand needs to allow the specific cover to be the hero. The brand environment needed to work with all releases, whether they were hip hop or rock. As we had no control over the cover images, and these would vary hugely, the design approach needed to separate the information from the cover artwork. 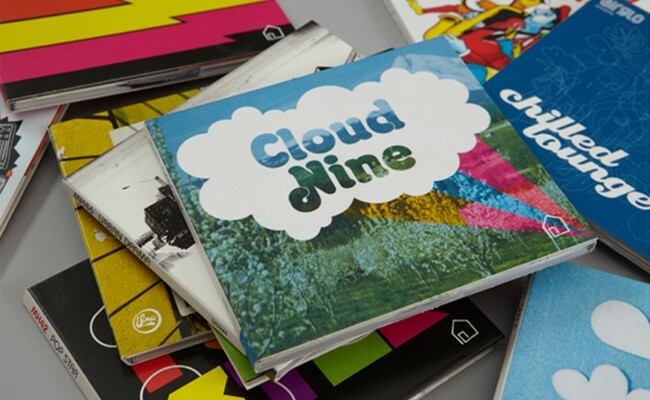 The cover artwork was the lead element for each release and so the branding needed to sit in the background whilst creating a coherent family of releases.